Students will be able to practice grade level phonics by producing the primary or many of the most frequent sound for each consonant. Creating nonsense sentences allows students to practice alliteration skills. When all of the students are seated on their dot in the rug area I ask them to stand up and find a space where they will not bump into their neighbor. When the school is over I sing the sit down song and get the book I am going to read for the focus lesson. I use the Lettercise song to help prepare my students for the activity part of the lesson. The song helps the students recall the letter sounds and by using the visual version on the SMARTBoard also helps the students associate the letter with the sound. Today I hold the book up and ask the students who they think the book is written by. I select a student who is following the correct classroom protocol. I write the upper case and the lower case letter on the screen. I verbalize this process out loud. I speak out loud as I write the sentence I want to use on the board. Then I quickly draw a jellyfish with some squiggly lines to represent movement. I allow the students to call out a response. Other sentences we used as alliteration practice on the SMARTBoard. I point again to the board as I say, “What I just showed you on the board is exactly what you are going to do on a recording sheet with the letter of your choice. Don’t worry because a grown-up will be at this station to help you out if you need it.” I hold up the recording sheet so that students will recognize it when they get to this station. “Table number one let’s go have some alliteration fun. Model for students to refer too. Student working on alliteration page. This activity is a really good one for students to work on their phonetic skills. They have to focus on the letter sound, recognize the letter that makes, and then come up with other words with the same beginning sound. Stringing the words together in a sentence requires the students to think about sight words which would complete the sentence. Surprisingly this activity is harder for my higher functioning students as they work harder at making their sentence make sense which cause them to lose some of the flow of the alliteration. Model for students to refer too. Student working on alliteration page. Proud student sharing his work. Student sharing his alliteration page. Student shares her alliteration work. Student sharing his alliteration work 2. Once a student has told me their two words using alliteration, they are able to use the hand sanitizer and go to get their snack. If a student is unable to give me an answer, they know they can do one of two things. They can wait until everyone else has gone and then we will work together on coming up with two words using alliteration. The exit ticket helps me to see if the students have “caught what was taught” and allows the students to practice the skill used during the activity. Proud student sharing his work. Student sharing his alliteration page. Student shares her alliteration work. Student sharing his alliteration work 2. I use the Alliteration Checklist to go over the student’s work and once it is complete I will place the student’s work in his/her collection portfolio. Looking at the student’s work with the checklist helps me to stay focused. Firstly I am looking to see if the student recognizes the letter pair of upper and lower case. Secondly, the student recognizes the primary sound made by the given letter, and thirdly the student can make a sentence stringing words with the same initial sound together. Students match the correct letter to the correct picture based on the beginning sound. The students have a timer and must try and match all the letters before the timer runs out. Students match the correct lower case letter to the correct upper case letter in a timed activity. The timer is set and the students work as a team to match the pairs of letters. Once all of the letters have been matched the students record their results on their recording sheet. Watch the video version of the story later in the day. 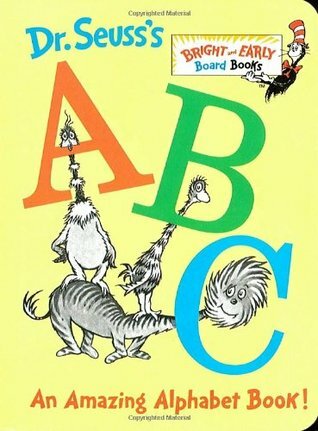 Dr. Seuss’s A, B, C: An Amazing Alphabet book. Capital and Lower-Case Move and Learn!